Superior Aluminum Foil of California is your choice for quality in the food service industry and the laboratory. 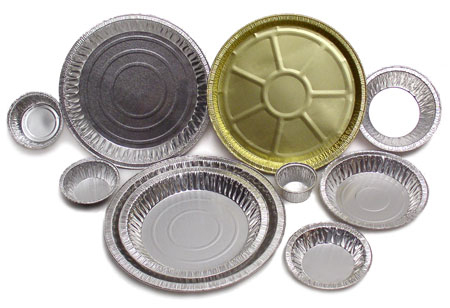 Aluminum foil products produced in our West Coast facility include Tart Pans, Pot Pie Pans, Pie Plates and Weighing Dishes. Our California facility offers excellent customer service to oversee your aluminum foil needs at competitive prices, so give us a call! ©2004 SAFCA. All rights reserved. All audio, visual and textual content on this site (including all names, images, trademarks and logos) are protected by trademark rights, copyrights and other rights owned by SAFCA or by SAFCA's licensors, licensees, suppliers and accounts. Use of this site signifies your agreement to the Terms and Conditions of Use.